A 4 week plan based on 2000 calories for men interested in achieving health, vitality and strength on a raw food high protein diet. 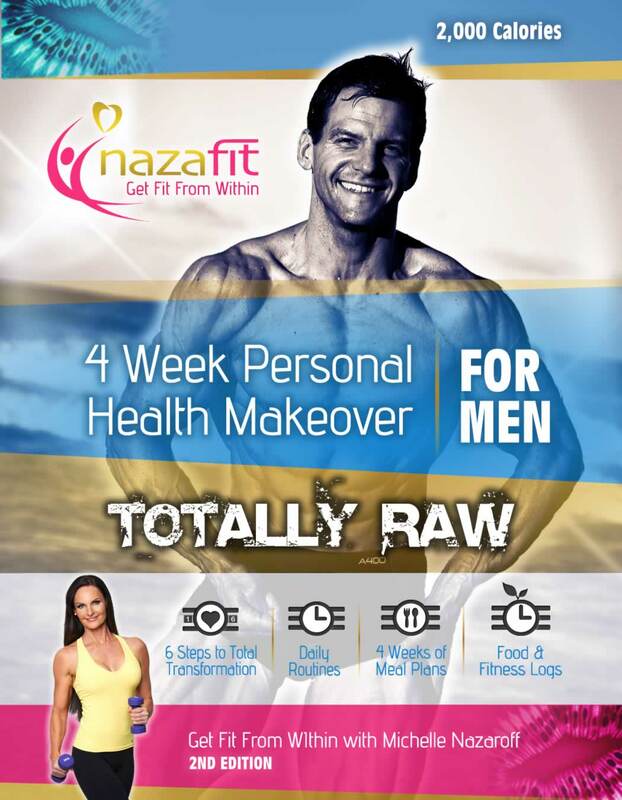 The 4 week personal health makeover for men is now totally raw. While we have always worked with men and women at Nazafit, this program is our first do it yourself ebook with meal plans and recipes carefully designed for men. Meal plans that tantalise those taste buds! We’ve revamped these recipes into the healthiest and tastiest options to ensure you don’t get bored! 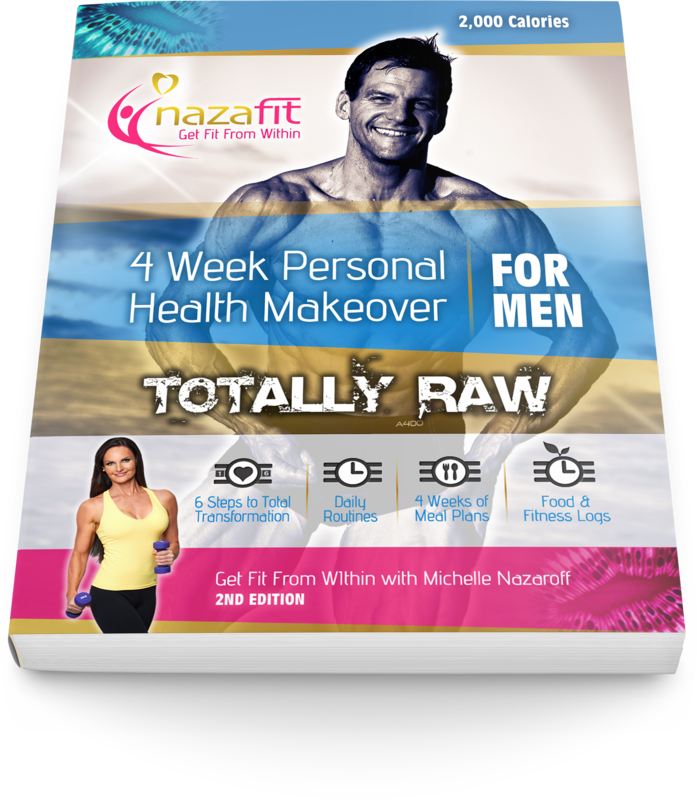 If you are a couple taking the Nazafit whole food journey together, you may be interested in the partner ebook 4 Week Personal Health Makeover for Women – Totally Raw. If you are not taking a vegetarian path, the 4 Week Personal Health Makeover for Men may suit you better as it offers more calories and cooked foods including meat.